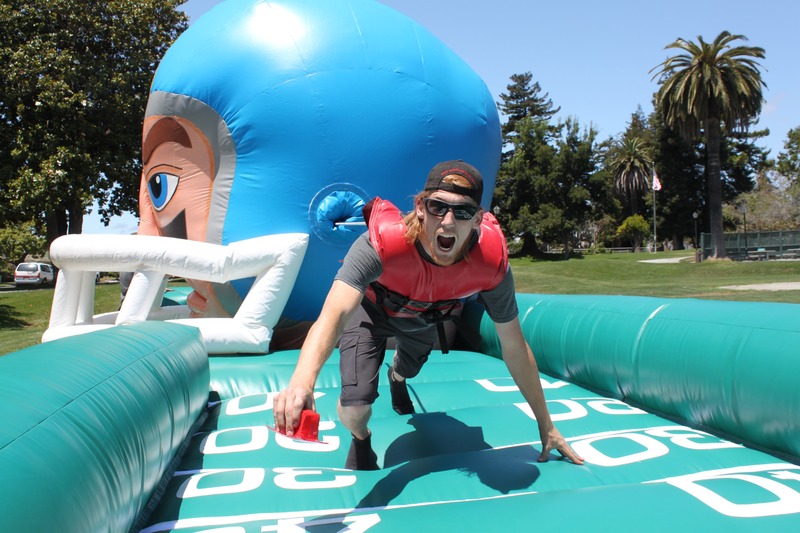 Did you know the Super Bowl will be in the San Francisco Bay Area this year?? 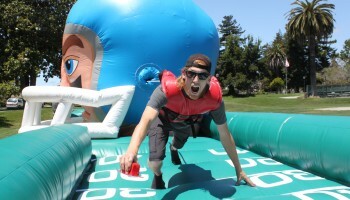 Levi Stadium Santa Clara / San Jose will be hosting the Super Bowl in 2016. 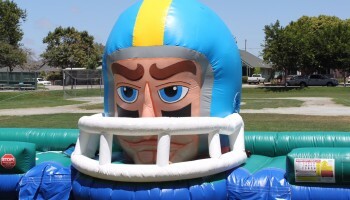 Our Football Bungee Battle will get your guests excited with this exciting new game. 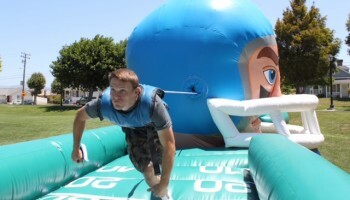 The object to Football Bungee Battle is two competitors (about the same weight) put on the provided harnesses and they run in opposite directions to each others Football Bungee Battle goal posts. On top of each goal posts there is a long piece of velcro that each player tries to stick there baton onto (three batons for each player are provided by us). 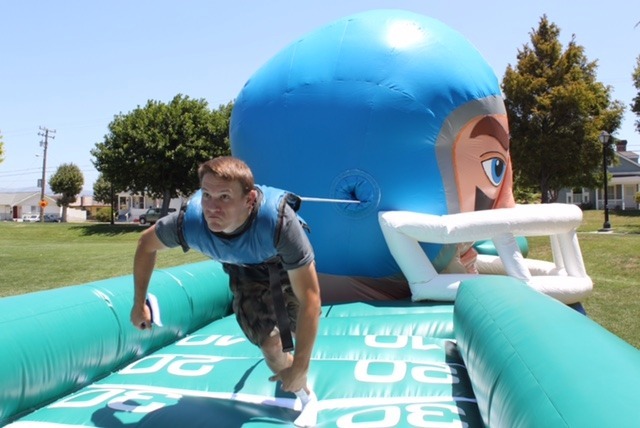 This is a battle like a tug of war but on a bungee cord. Whoever can get there three batons on the goal post first is the winner of the Football Bungee Battle. 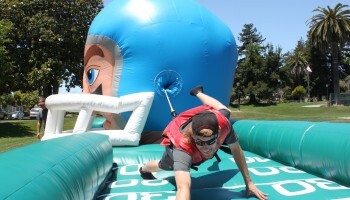 To get a better idea of how its done please watch our video of the Football Bungee Battle. 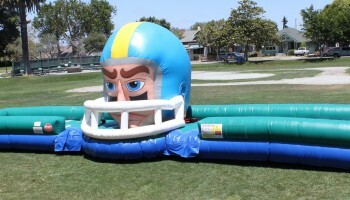 Our Football Bungee Battle is a great inflatable interactive game for your next sports theme event. 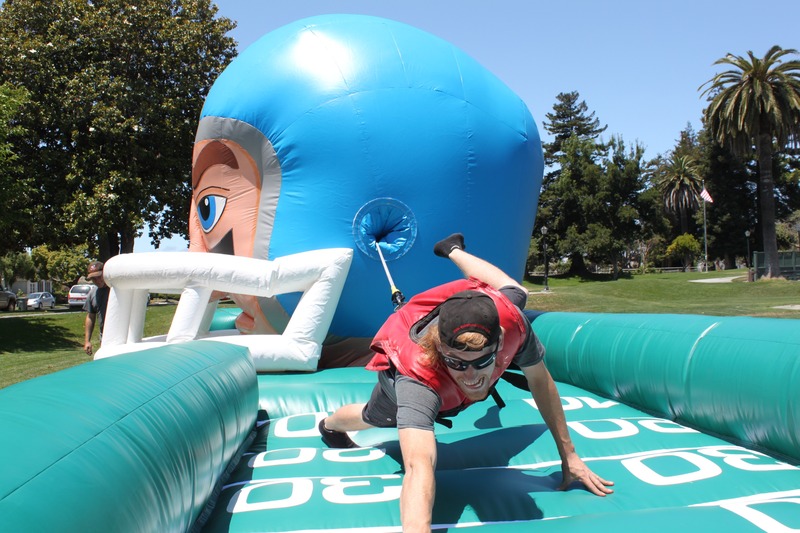 With the great inflatable football helmet as a attention getter you can’t go wrong with picking the Football Bungee Battle. 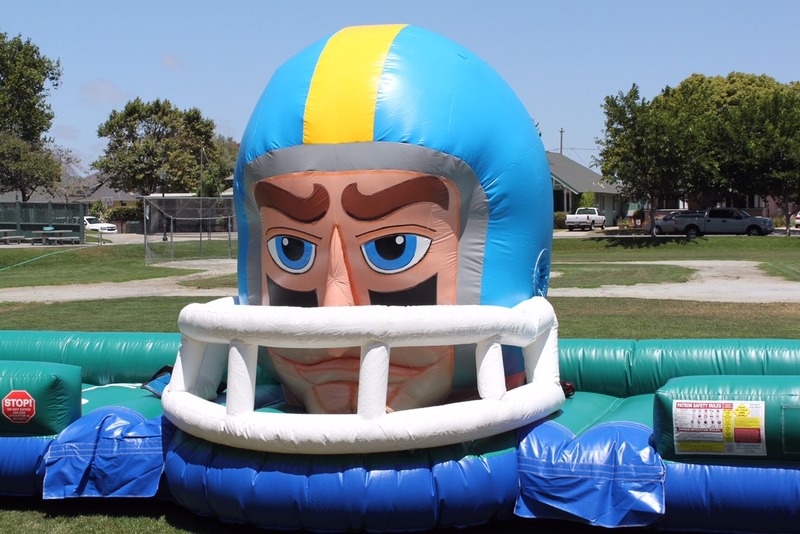 If you would like to have your event completly in a football theme rent the Football Bungee Battle with our Inflatable Quaterback Blitz game and add our Field Goal Combo or the Inflatable Field Goal Challenge.